Some of customers wonder if it is possible to fix a cracked iPhone screen at home in Detroit? The answer to that question is definitely yes! You can definitely fix a cracked iPhone screen at home, but we do have to offer some advice. Many times we get phone calls from people who have tried to fix their own iPhone. When they try to put it back together, something always goes wrong. Fix a cracked iPhone screen is a challenging task. And we recommend leaving it to the professionals. Today we got a call from someone who desperately needed some help. They absolutely destroyed their iPhone 7. You can see from the picture. The damage was so grand that we decided to even give it the award of Cracked Screen of the Month. 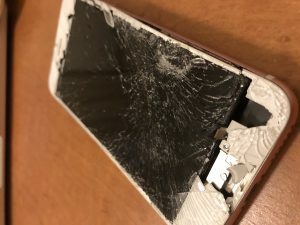 Another fair warning – bad things happen when iPhones are thrown. We met this iPhone owner at a local coffee shop and were up front with them to begin. Chances were that this iPhone was not going to be able to be revived. We decided to give it a go anyways. After about 30 minutes with lots of twisting and turning, we were amazingly able to get this phone working again. We couldn’t believe it! It was an iPhone miracle. And definitely testament to how durable these tiny machines are. 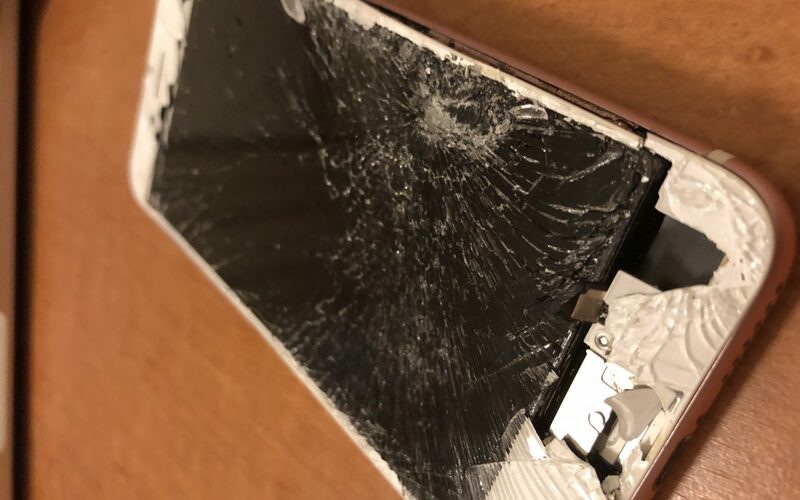 While the customers was curious if he could fix a cracked iPhone screen at home in Detroit, he was happy that he got in touch with iRepairMotown. He now didn’t have to spend a small fortune on buying another iPhone. If you’re in the area and need a screen replacement for you iPhone, please give us a call. We love bringing iPhones back to life.